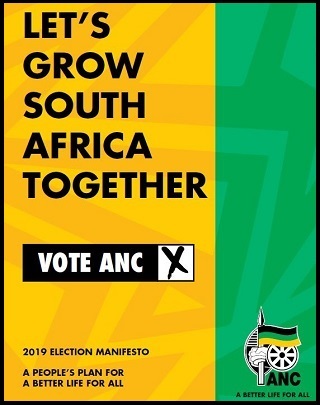 The African National Congress has noted the latest growth figures from Statistics SA and believes that they represent an urgent call to action for all South Africans to rally behind a common vision of growing the economy and job creation. The figures show that the South African economy moved back into a technical recession with a negative growth rate of (-0.7%) during the second quarter of 2018. Except for the mining sector, all other productive sectors experienced a contraction. The technical recession is a result of a prolonged trend of slowdown in economic growth. These developments happen in the context of the economy that continues to experience low and declining growth in fixed capital investment, a persistent current account deficit, declining household consumption expenditure and a significant slowdown in government spending. These are reinforced by the decline in household consumption expenditure, which is the largest component of aggregate demand, which explains the poor performance of the wholesale and retail trade sector. This further raises our concern about the employment implications of weak growth. We have an aggregate demand problem. The capacity of the economy to create employment faster than the growth rate of the labour force has been slow. The slow growth challenges require a coherent and a multifaceted response to ensure that our economy is strengthened to provide decent work. 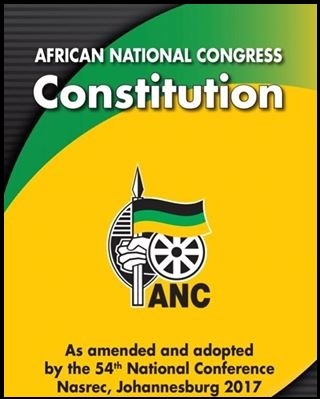 The ANC reiterates the call it made at the Lekgotla in July that the ANC-led government must take immediate, concrete and bold steps to lift the rate of growth and its inclusivity by activating macro-economic policy tools, institutional efficiencies and specific sector interventions as central instruments to mitigate the effects of a contraction in economic activity. This requires that there be a significant difference in the aggressiveness and approach through which recovery measures are implemented by government. Specifically, the “stimulus package” must be activated immediately. Our macroeconomic policies must act in concert in the interest of the overarching goal of economic growth and development. More than ever, we will have to closely coordinate fiscal and monetary policy so as to foster sustainable growth. Develop and support those industries that would rapidly absorb employment (domestic and Africa focussed growth) and this may including tax credits for those companies that invest in sustainable job creation. Expand the value chains to serve a larger and growing African market by improving the channels of trade with other African Countries. Drive the establishment of a strong co-ordinating mechanism between cluster departments to oversee the alignment between procurement patterns, innovation, our industrial development strategy and support for small and medium sized business participation. Step up maintenance of existing infrastructure and partnerships with communities. Government to upscale investing in economic and social infrastructure that include work on public buildings, courthouses, schools, transportation infrastructure, government hospitals, public safety facilities and equipment, water and sewer projects, environmental projects, energy projects, government housing projects and public utilities. Investing in projects that include road repairs and resurfacing, bridge repairs and maintenance, safety improvements, and road widening because they have the added benefit of generally high employment impacts and they can be implemented quickly since they are focused on construction and maintenance, rather than on planning and design. Investment and infrastructure are essential for development. They are important for expanding the capacity of the economy to produce, distribute and drive development. Agricultural support packages that will boost economic growth and food security, together with properly-designed and executed land reform boosting skills development measures directed at supporting young people to find work opportunities developing and implementing a support package for township and rural enterprises to broaden the base of economic participation. Government policies and measures committed to and the 14 confidence boosting measures, must be implemented. Reprioritise the budget to boost Extended Public works programmes?On broadband rollout, the ANC calls for urgent steps to bring down the costs of data and speeding up spectrum release to expand the ICT industries. In so doing, however, measures must be taken to ensure that, this release does not lead to further increase in market concentration. Develop South African skills and knowledge while preparing to manufacture products based on the evolving technologies. 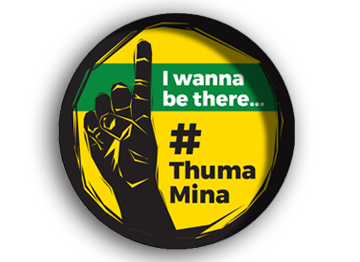 The African National Congress believes that opportunities exist for the revival and/or strengthening of the economy through the prioritisation and full support of governmental interventions. These interventions do not necessarily require the development of new policies, but rather the effective implementation of existing ones. The interventions should be focussed on a limited number of priorities, to ensure that the committed resources are utilised effectively and efficiently. The prioritisation of interventions should be aligned with governmental spending or core competencies in South Africa, with the automotive, pharmaceutical, rail engineering and equipment as well as renewable energy industries meeting these criteria. It is important that attention should be more on the future developments of these industries. Ambitions should not be limited to the South African market but also be expanded to supply the fast growing regional market. The upcoming Investment Conference next month provides an important window of opportunity to mobilise resources for the much needed investment. The Job Summit which will also be held at the beginning of next month provides not only an opportunity to mobilise domestic savings but an occasion to rally all South Africans behind a common vision of growing the economy and job creation. Government must seize this initiative! ?